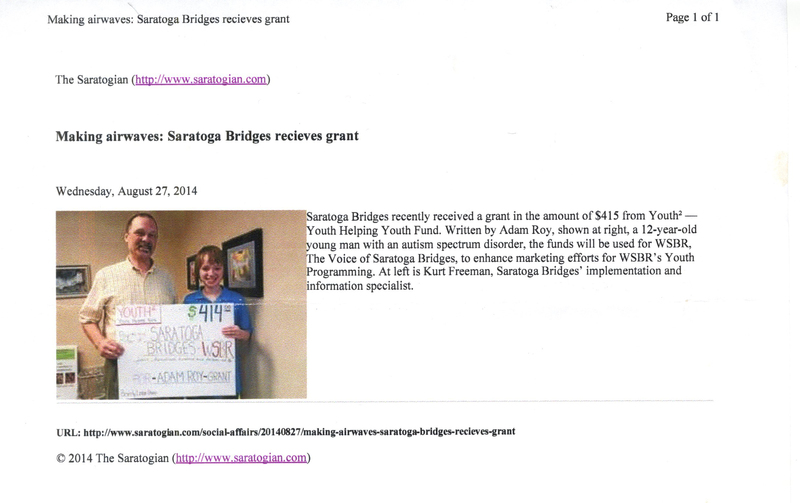 12-year-old Adam Roy wrote this grant to expand the Internet radio station run by special needs people of all ages. Adam does a 3-hour block of personally chosen music, talk segments and interviews. This gives youth with Asperger’s and Autism a place to share the incredible things they do. This radio show is sure to increase awareness and involve many youth with special needs. Live365.com features Adam’s show in the middle of every day. Money from YouthSquared will assist raising awareness of the radio show and will also purchase better audio software and samples to make it sound more professional.